We love our STEAM program here at St. Luke’s Preschool! For those not familiar with this program, it is our Science, Technology, Engineering, Arts and Math classes that utilize the Outdoor Classroom as their classroom. 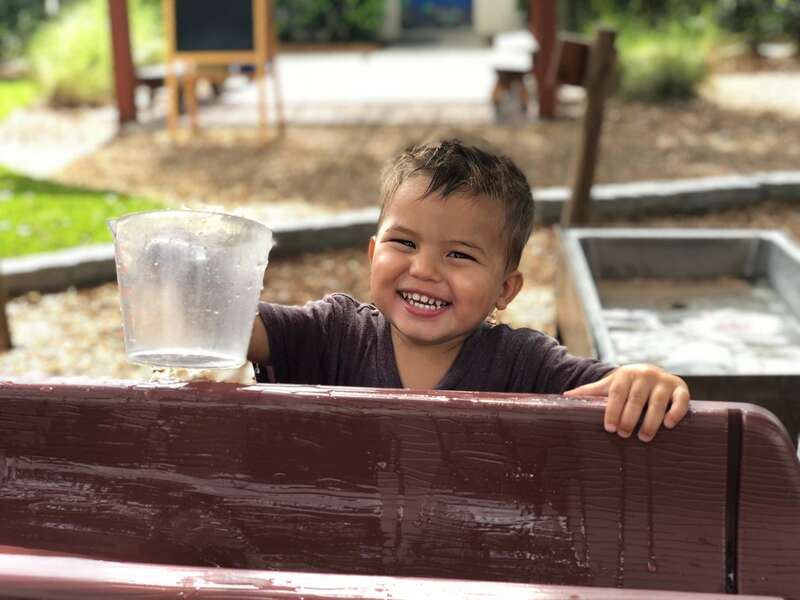 They spend about 75% of their time outside and 25% inside in the STEAM Lab, Outdoor Classroom Lab, or the newly designed 2/3 year old STEAM classroom. 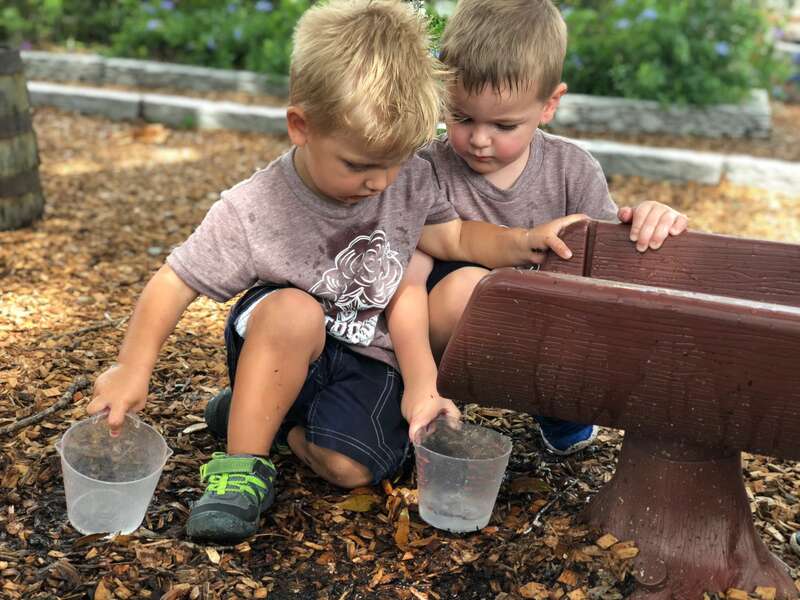 These classes focus on a child’s sense of wonder about nature, inviting them to explore wildlife and the world around them. We began our STEAM journey 3 years ago, with the addition of a 3 year old STEAM class. The following year we added a 4 year old STEAM class and this year we added a 2 year old class! They each have their very own curriculum and incorporate as much of the outdoors as possible, in the rain or shine! With the 2’s class in particular, we focus a lot on sensory play. 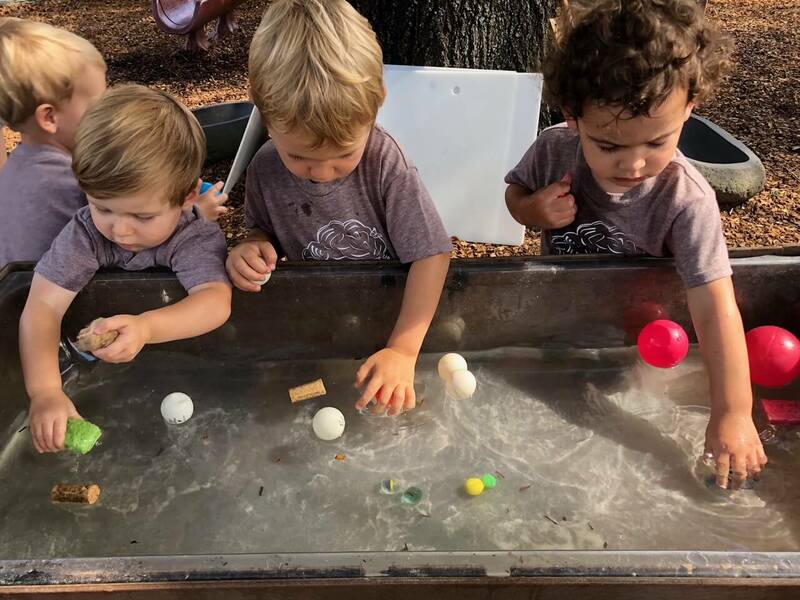 As I mentioned in my previous blog about our STEAM classes, we added a sensory area specifically for our little ones to expose them to all kinds of feelings and engage multiple senses. These sensory materials include water, sand, water beads, gloop, moon sand, seeds, fake snow and more! Sensory play, we believe, is the best way for preschoolers to learn. They retain the most information when they are able to experience something through touch, smell, even taste! The more senses involved, the better! If you have the chance to see inside one of our STEAM rooms, they are like no other! They both contain a rock climbing wall to encourage gross motor skills and coordination. There are also nature themed manipulatives and nature inspired activities, such as spelling their name with nature items or growing their own seeds/succulents! Our STEAM teachers are so creative and love to think outside the box to come up with new ways to integrate nature into their everyday routine. We are so very excited about where are STEAM program is going and we can’t wait to see what our STEAM students discover!